Though there is still no unanimous opinion of Birth and Death regarding date and Place of Birsa Munda, yet Govt. has accepted that Birsa was born on 15 Nov 1875 in Ulihatu and died on 9 June 1900 in Ranchi central jail. Birsa Munda was son of Sugna Munda. Sugna Munda has three sons namely- Kowa Munda , Birsa Munda and Bhanu Munda. Sugna Munda, father of Birsa Munda, had two more brothers namely- Bhanu Munda and Pasna Munda. Birsa was born in year 1875, Thursday was the day of his birth, and he was named after the day of his birth according to the Munda custom. Ulihatu was the birth-place of Sugna Munda, father of Birsa. The claim of Ulihatu rests on Birsa’ s elder brother Komta Munda living in the village and on his house, which still exist in a dilapidated condition. Birsa’s father, mother and younger brother, Pasna Munda, left Ulihatu and proceeded to Kurumbda near Birbanki in search of employment as laborers or crop-sharers (sajhadar) or riots. At Kurmbda Birsa’s elder brother, Komta, and his sister, Daskir, were born. From there the family moved to Bamba where Birsa’s elder sister Champa was born followed by himself Birsa was born in a house built of bamboo strips without a mud plaster or even a secure roof; a crop-sharer or riot could not boast of a better house. Folk songs relating to his birth seek to embroider the event with the Biblical parallels: a comet or a flag-star moved across the sky from Chalked to Ulihatu, a flag flew on a mountain top. Soon after Birsa’s birth, his family left Bamba. A quarrel between the Mundas and their riots in which his father was involved as a witness was the immediate reason for proceeding to Chalkad, Sugana’s mother’s village, where Bir Singh, the Munda of the village, granted them refuge. Folklore refers to his rolling and playing in sand and dust with his friends, and his growing up strong and handsome in looks he grazed sheep in the forest of Bohonda. When the grew up, he shared an interest in playing the flute, in which he became adept, and so movingly did he play that all living beings came out to listen to him. He went round with the tuila, the one-stringed instrument made from the pumpkin, in the hand and the flute strung to his waist. Exciting moments of his childhood were spent on the Akhara (the village dancing ground). One of his contemporaries who went out with him, however, heard him speak of strange things. Driven by poverty Birsa was taken to Ayubhatu, his maternal uncle’s village. Komta Munda, his eldest brother, who was ten years of age, went to Kundi Bartoli, entered the service of a “Munda, married and lived there for eight years, and then joined his father and younger brother at Chalkad. At Ayubhatu Birsa lived for two years. He went to school at Salga, run by one Jaipal Nag. He accompanied his mother’s younger sister, Joni, who was fond of horn. She was married, to Khatanga, her new home. He was found no good for the job and was beaten by the owner of field. He left the village and went to his brother at Kundi Bartoli, and stayed with him for sometime. From there he probably went to the German mission at Burju where he passed the lower primary examination.Birsa Munda as known amongst tribal, waged a massive war against the British rule in mid 1890’s. After the (suppression of the first rising, in decisive war against the British). After a series of concerted attacks for nearly two years on the places loyal to the British, the Munda warriors started congregating on “Dombari Hill” at village “Sail, Rakab” (Nearly 20 Km from the Ranchi-Jamshedpur Highway), on the call of Birsa. Documents revel that the Munda’s, adopting Guerilla warfare, attack the British in Ranchi and Khunti. 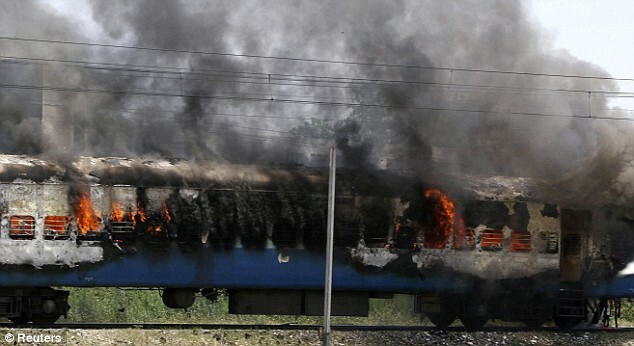 Several persons, mostly police men were killed and nearly 100 Buildings were set on fire. It raised over this ” UlguIan ” (revolt), the, then commissioner Mr. A fobes and Deputy Commissioner Mr. H.C.Stratified, rushed to Kunti with two company of army to crush the mass struggle (UlguIan) of” Abua Disun” ( Self rule).The revolt had rocked the British administration to the extent that the commissioner declared a reward of Rs. 500 for the arrest of Birsa. Subsequently British forces attacked heavily on Munda warriors congregated at “Dumbari Hill” and made indiscriminate firing like that of “Jaliyan Wala Bagh” and killed several hundred people. The whole hill was littered with dead human corpses. After Brutal slaughter the dead bodies were thrown into the deep gorges and ravines of the hill. Many of the wounded were buried alive. According to editorial published on March 25, 1900, the statesman, put the toll at 400. However, the then administration suppressed the fact and claimed that only eleven persons were killed and nine injured in two firings on January 7 and January 9, 1900. Fear and panic show spread over the area that “Dombari” was named by Munda’s as “Topped Buru” -mound of dead. 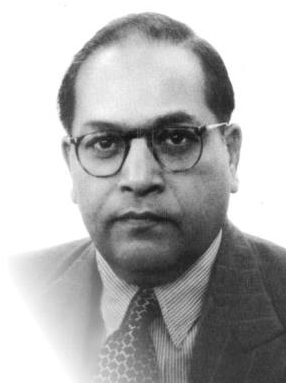 Dr. Ambedkar passed M.A. examination from Columbia University (New York) with major in economics. 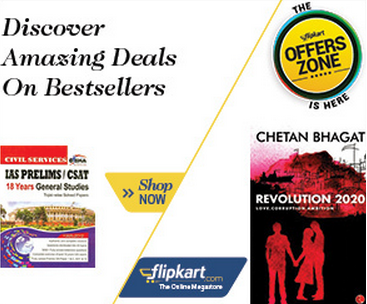 The other subjects were sociology, history, philosophy, anthropology and politics. 5 June 1952: Dr. Ambedkar conferred with honorary degree of Doctor of Laws by Columbia University. Dr. Ambedkar was was to have received the degree at the hands of General Eisenhower, who was then President of the University. But due to cabinet responsibilities and later electioneering the General would not make the trip. Earlier on night of 31 May, Dr. Ambedkar was felicitated at a dinner party at the Cricket Club of India, Bombay (presently Mumbai), by Dr. V.S. Patankar, Principal and K.V. Chitre, Registrar of the Siddharth College. Dr. Ambedkar left Bombay for New York by a T.W.A. flight on 1 June. A large gathering of his followers and admirers gave him a send-off at the Santa Cruz airport. On 5 June, the convocation was held. Columbia University conferred on six persons the honorary degree of Doctor of Laws. While awarding him an honorary degree of Doctor of Laws, at its 198th commencement exercises. The University hailed Dr. Ambedkar “as a framer of the constitution, member of the cabinet and of the council of states, one of India’s leading citizens, a great social reformer and a valiant upholder of human rights”. He received the degree before a large crowd assembled to watch 6,848 graduates of Columbia’s 17 schools and colleges receiving their degrees. 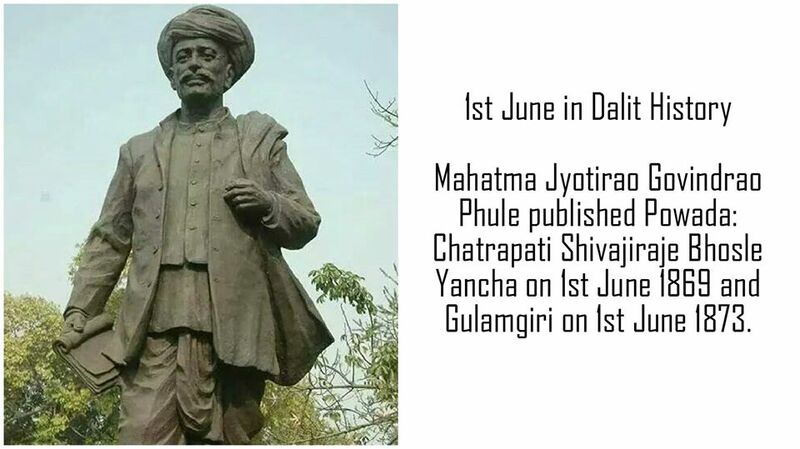 Mahatma Jyotirao Govindrao Phule published Powada: Chatrapati Shivajiraje Bhosle Yancha on 1st June 1869 and Gulamgiri on 1st June 1873. 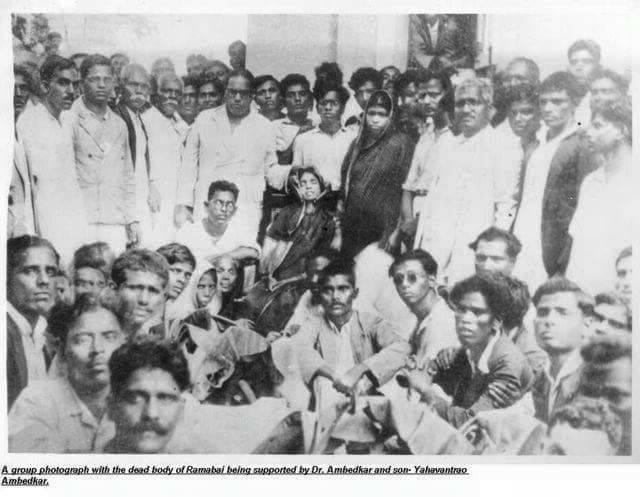 Dr. B. R. Ambedkar on behalf of the Bahishkrita Hitakarini Sabha (Depressed Classes Institute of Bombay) raised issues concerning the state of education of the Depressed Classes in the Bombay presidency in front of Simon Commission (Indian Statutory Commission) on 29th May 1928 at Damodar Hall Parel, Bombay. Full text of the same is available here. Ramabai Ambedkar’s parents died when Ramabai was in her childhood, leaving behind two small brothers to take care of. 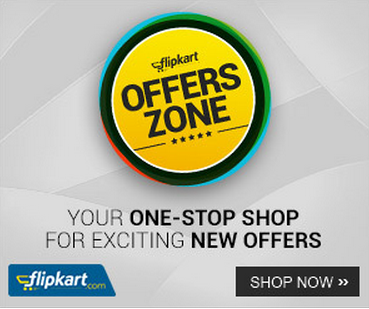 Their uncle and maternal uncle proceeded with all the three to Mumbai. At Mumbai she married Babasaheb Bhimrao Ambedkar. During her domestic struggle she lost her father-in-law Ramji. 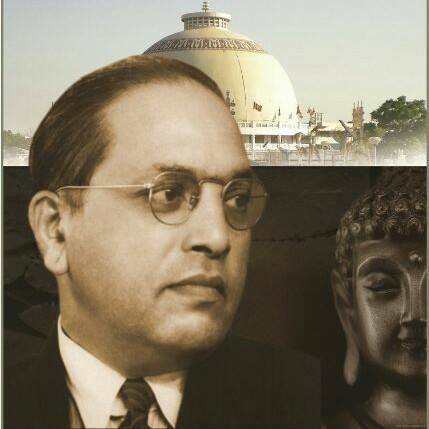 Ramabai Ambedkar did help Dr. Ambedkar during ups and downs in life. Then another tragedy followed with the demise of Babasaheb Bhimrao Ambedkar’s elder brother Anandrao. Afterwards, for higher education Babasaheb got the Sayajirao Gaikwad scholarship at Baroda. For higher education when Dr. Ambedkar had to leave for England, all the responsibilities to take care of home came to Ramabai, which she handled very well. 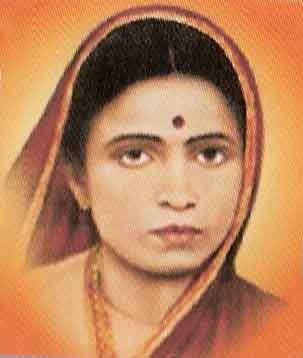 Ramabai used to encourage Babasaheb for higher studies and used to do household work and remit money to Babasaheb Bhimrao Ambedkar. Ramabai went through difficult life but her sheer determination helped her win over her difficulties. Heap of troubles, difficulties were showered on Ramabai but she didn’t surrender, she was adamant in upbringing the poor and downtrodden of her society, she took over the struggle carried by Babasaheb Bhimrao Ambedkar and stood like a rock along with Babasaheb Bhimrao Ambedkar to carry out the grand work initiated by Babasaheb Bhimrao Ambedkar. On 26th May, 1935, Mother Ramabai Ambedkar left this world. More than 10000 people attended the final procession. Salute to Mother Ramabai Ambedkar on death anniversary. 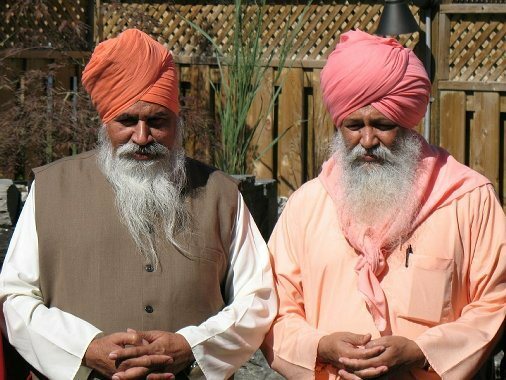 On the 24th of May, 2009, six Jat Sikhs (upper castes) men armed with daggers and guns entered the Shri Guru Ravidass Gurdwara in Vienna (Austria), and started shooting, aiming at the two visiting Sants (Sant Ramanand Ji and Sant Niranjan Dass Maharaj Ji) from Punjab, India who were giving a sermon at that time. The bloodshed by upper caste Jat Sikhs resulted in the death of Sant Ramanand Ji, who died of gun wounds, and the serious injuries to Sant Niranjan Dass Ji, the spiritual head of Dera Sachkhand Ballan, a religious centre for Dalits in the Punjab devoted to Guru Ravidass Ji. Both Sants were on a mission to preach and spread the teaching of Shri Guru Ravidass Ji, enemies of humanity attacked and seriously injured and killed inside Shri Guru Ravidass Gurudwara in Vienna, Austria. More than 30 followers of Guru Ravidas Ji were also injured and eleven of them seriously. An email reportedly received by Radio Akash in London, purportedly from the Khalistan Zindabad Force, claimed responsibility for the attack. When news of the death Sant Ramanand Ji spread, the Punjab erupted in violence, a state curfew was imposed, and the army was called in to restore order. 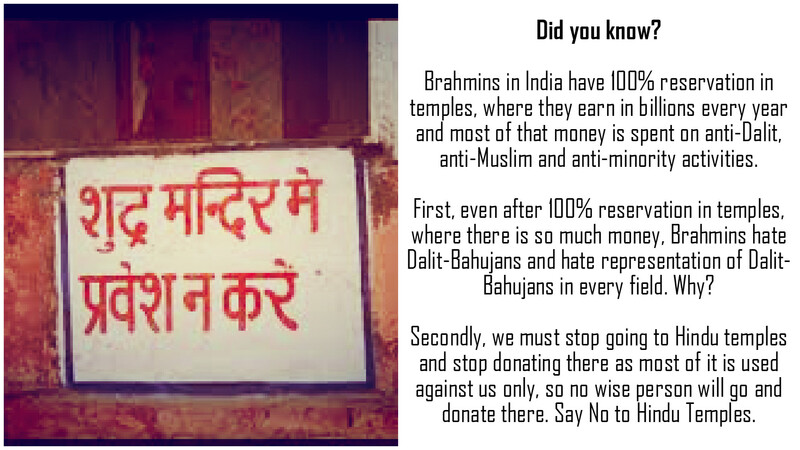 After this unfortunate killings and attacks on Dalit leaders, Dalits in Punjab founded new religion, Ravidassia, and did get separate from Sikhism. At that time Akali Dal and SGPC did their best to please Dera Sachkhand Ballan, Jalandhar, so that Dalits don’t leave Sikhism but at the same time Akali Govt. arrested several Ravidas leaders campaigning for the new Ravidassia religion. Such a hypocrisy by so called Sikh leaders of the time. At present in Sikhism also one can see divisions as per caste system and so called Jat Sikhs think Sikhism is their personal property! 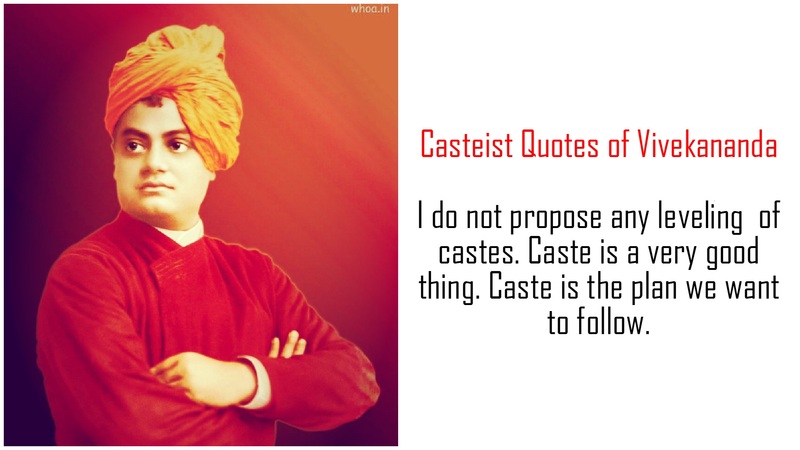 Let me tell so called upper caste Jat Sikhs that Sikhism is not a property of anyone, it was founded to fight against injustice and caste discrimination but now there is no difference between Sikhs and Brahmins as both practice discrimination. Sant Ramanand Ji is no more physically with us because of most unfortunate incidence at Vienna, Austria, but his noble thoughts shall always be with us to lead us on the right path.